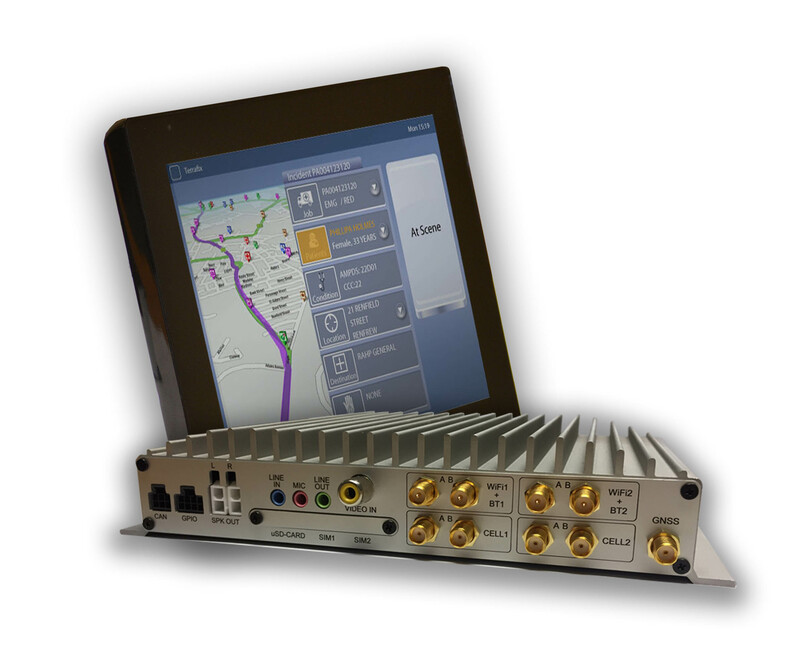 The mT.AGG is a newly developed, high performance in-vehicle communications hub, which provides seamless integration from devices used in or around a vehicle, such as tablets, phones or computers and interfacing to in-built vehicle systems, such as CAN. The mT.AGG hub provides the latest generation of wired and wireless communication systems and is designed with unparalleled versatility in mind. Although the hub maximises leading-edge capabilities it also provides legacy equipment connectivity by offering a wide variety of external interfaces. The design of the device enables enhancement of operational efficiency with reference to field-worker and back-office-system interaction, with in-vehicle data systems. This is achieved by housing dual independent LTE cellular modems providing simultaneous uninterrupted coverage across all current network technologies (2G, 3G and 4G) giving complete network diversity. The system features a comprehensive software package, which provides a remote portal Terrafix Management Suite (TMS). The TMS will allow a hierarchy of configuration facilities giving user authentication and controlled levels of configuration capability.